My debut novel, GIRL OUT OF WATER, is a summery coming-of-age story about a California surfer girl sent to landlocked Nebraska for the entire summer. It debuted in May 2017. You can order it from most book retailers and of course request it at your local library! My second novel, YOU ASKED FOR PERFECT, is about the effects of intense academic pressure on a teenage Valedictorian-to-be. It comes out March 2019, and you can add it on Goodreads here. I have degrees in English and Advertising from the University of Georgia, and I have an MFA in Writing for Children from the New School. While I lived in NYC, I interned at Penguin and two different literary agencies. In addition to writing, I also freelance edit manuscripts and query letters. Please check out my services if you’re interested! I particularly love helping with those query letters! Thank you, Laura, for stopping by on the blog! I had so much fun chatting with you! 1. Your second book is coming out in March, that’s so exciting! What inspired you to write this story? I went to an extremely academically competitive high school. We were pressured to take as many AP classes as possible and do well in them. At the time, almost ten years ago now, this high school experience was pretty unusual. We jokingly called the school a university instead of a high school. But I’ve noticed in recent years it’s been more and more common to put this intense academic pressure on high school students all over the country, and that amount of pressure can be extremely harmful to the mental and physical health of the students. I wanted to write a book where high school students feel seen and heard. I wanted to tell them that they are much more important than their grades. I also wanted to send a message to teachers, parents, administrators, etc. Many already know this pressure is an issue, but I hope they will work harder to solve it. 2. I read an ARC of YOU ASKED FOR PERFECT a couple months ago and I absolutely loved it! I related to Ariel so much, and I know a lot more readers will, too. Was it difficult writing Ariel’s character, or any of the other characters? 3. If you could give one piece of advice to those struggling with any type of pressure to be perfect, what would it be? Reach out to people and ask for help – whether it’s parents or a therapist or someone else. Perfection is overrated, and hopefully someone in your life can work with you, provide comfort, and help shift your perspective. 4. What was your writing process like for YOU ASKED FOR PERFECT? As mentioned above, it was super stressful! I had a lot of high school flashbacks. I wasn’t exactly like Ariel, but there were times when I felt like a single grade or project was the end of the world. I really dipped back into that internal spiral, and it was a difficult space to live in again. 5. There are a ton of inspiring authors out there. What advice would you give them? Write what you enjoy! I strongly recommend writing fanfiction if you’re just starting out. I wrote a ton of fanfiction in college, and it was the best writing practice. You get instant feedback from your reviewers, and you’re incentivized to keep posting new chapters because they’ll want to know what happens next. And most importantly, it’s really fun! See what other amazing blogs joined this fantastic blog tour! Disclaimer: INT as long as Bookdepository ships to the country of the winner. 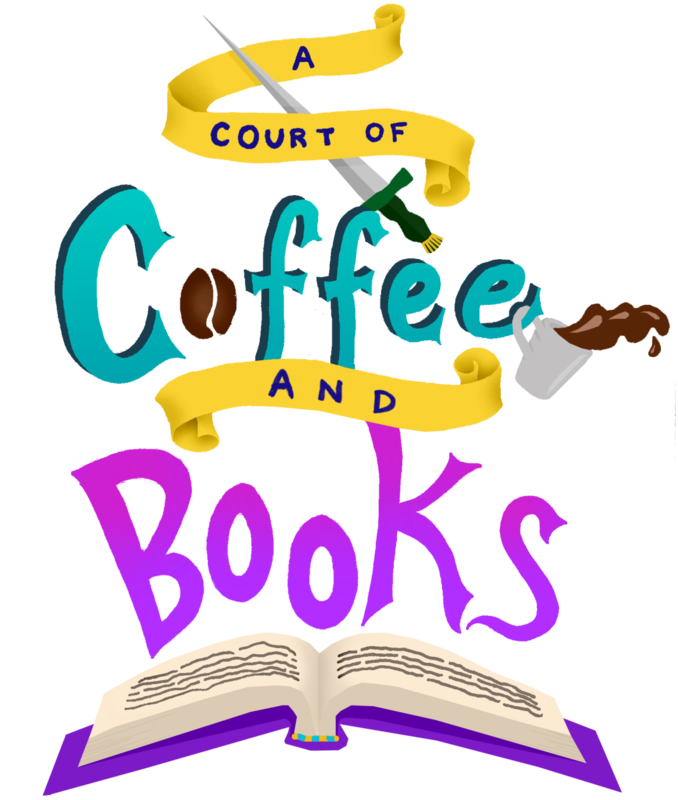 Thank you to Tale Out Loud for having A Court of Coffee and Books on this blog tour! I absolutely loved this book and I’m glad I am able to be part of this! On her eighteenth birthday, Hayden inherits her childhood home―on the condition that she uncover its dark secrets. As soon as Hayden arrives at her hometown, her friend Del in tow, it begins: Neighbors whisper secrets about Hayden’s mother; the boy next door is now all grown-up in a very distracting way; and Hayden feels the trees calling to her. And among them, deep in the woods, Hayden will discover something incredible―something that threatens reality itself. This wonderfully dark atmospheric novel will keep you fixated on the world and Hayden’s journey. What the Woods Keep is an eerie novel that will make you question the daily noises you hear and the things you see and quite possibly your own sanity. This book gives a new meaning to uncanny and the obscure. I was pleasantly hooked to this haunting tale. What the Woods Keep bends mystery, paranormal, and fantasy. It does so in wonderful fashion, equally sufficing all genres in one book. There’s also the sense of an unknown horror. I’m one of those people that loves the horror genre, along with all the genres listed above. I don’t read a lot of horror, but when I do, I’m usually engrossed in the novel or bored because I know how everything will play out. What the Woods Keep was in no way boring or predictable, but rather an edgy new addition to the YA genre. “My first condition is that Hayden goes to the Manor and looks for the gifts I left her. They’ll call to her. She needs to listen with her blood. “My second condition is that Hayden uses my gifts to destroy my darkest secret – my hidden treasure, my heaviest burden. Cryptic yet intriguing messages, all that immediately pique Hayden’s (and the reader’s) interest. From there, Hayden and her best friend, Del, take a trip to Promise, Colorado, hoping to find answers not just about her Mom, but also Hayden’s upbringing and why her own Father wants her to never return to Promise (and also to see Shannon, an old — and very good-looking — childhood friend). Hayden knows there is something unusual going on in her old hometown, but she can’t quite pinpoint it. People stare at her as if they’ve seen a ghost. There’s a research facility collecting blood NOT for a traditional blood drive. And then there’s a few members of the town that have been waiting for Hayden’s arrival for quite some time. And even though a lot of red flags go off in Hayden’s head, she is determined to uncover her Mom’s death and buried secrets. She never once thought the paranormal beings, Nibelungs, would be linked to her Mom, nor to her, especially when she believes scientific theories can explain everything. The atmosphere in this book is astounding and unlike most fictional towns. As the reader, you know something is just off when the town is first introduced. The only issue: you don’t know what. But the mysterious townsfolk and luring woods will draw you in and keep you guessing. Just how does everything connect? And how does Hayden and her Mom fit into all of this? I was overall happy with this book. The ending was a little fast, but the book itself is a tantalizing read. Katya de Becerra weaves beautiful and breathtaking writing to bring to life this haunting and eerie read. With strong characters, mystery, and an undeniable pull to the world, you won’t want to put this book down. What the Woods Keep hits shelves next Tuesday, September 18! Pre-order now and check out the cool pre-order campaign! Thank you to the publisher and Tale Out Loud for the advanced e-copy in exchange for an honest review! Any quotes used are from the advanced e-copy and may not be in the final publication. Read on for my wonderful interview with the author of What the Woods Keep, Kayta de Becerra! Thank you so much, Katya, for stopping by on A Court of Coffee and Books! We are so excited to have you! The idea for your novel is unique and very intriguing. Did you have to do any research for your novel? If so, were there any interesting facts you stumbled upon? Thank you! I’m a total mythology buff, so it’s no surprise at all that my debut novel is mythology focused. Aside from myths, I researched physics and psychology to make the science in What The Woods Keep as realistic as possible (though it is still science fiction, emphasis on fiction!). In terms of interesting facts… The Dyatlov Pass Incident is perhaps the strangest. It remains the kind of enduring mystery that several generations of people obsess over. I actually learned about Dyatlov Pass from my mom! I thought she was describing something fictional to me until I looked it up myself and learned all the facts. I just knew then, it had to be in my book in some way! What character would you want to be stranded on an island with? From my book or any other? If former, then with Del (the bestie of Hayden, who is the protagonist of What The Woods Keep), because of her optimism and ingenuity. If latter, then Katniss Everdeen, because if anyone can find a way to save herself from a deserted island (I’m assuming it’s deserted? ), it’s Katniss – and maybe I can tag along. What is a quirky or unique habit you have? It’s more a rule, but let’s cheat and call it a habit. No caffeine after 12pm. Or I won’t sleep at night. At all. Of course I have to ask: what Hogwarts house would each of your main characters fall in? Hayden thinks she’s Ravenclaw but probably more of a Hufflepuff. Del is definitely a Gryffindor, through and through. And Shannon is Hufflepuff disguised as Slytherin. If you could have coffee or tea with any author (even if they have to be brought back from the dead), who would it be and why? Leigh Bargudo, because she’s awesome. If you could have your book made into anything (Broadway musical, TV show, movie, ballet dance, soap opera, etc. ), which would you choose and why? Probably a movie, the moody psychological maybe-horror kind. But ballet would be super awesome too, now that you’ve mentioned it. Write what’s important to you. Don’t pay much attention to trends. Read a lot. Only accept critic/feedback from people you know and trust. Don’t forget to enter the What the Woods Keep Giveaway! Want to see the other blog stops on this tour? Check them out below! Happy Friday, everyone! I hope you all have had a great week! I, for sure, did! I had the wonderful pleasure of joining a Google Hangouts Chat with Zoraida yesterday and it was so much fun to be able to hang with her and ask her questions about her writing. And I also had the great opportunity of interviewing Zoraida! If any of you follow my social media (mainly Twitter), you probably know by now that I love Zoraida’s work. I cannot wait to read Bruja Born and gush about the book to all of you! I already know it’s going to be fantastic! Below is some information about Bruja Born and the author, Zoraida Córdova, and then the interview! 1. What inspired you to write Lula’s story? When I wrote Labyrinth Lost I knew that the Mortiz sisters weren’t done telling their stories. In book one, Lula went through an Ordeal™. What came next? I didn’t want to mess up Alex’s ending, so the point of view had to change. This was Lula’s story to tell. 2. How difficult was it to write Lula’s story compared to Alex’s story in Labyrinth Lost? Lula’s story was definitely more difficult. Her thoughts are darker and she has a tough choice. The boy she loves or doing the right thing? If faced with the same choice as Lula, what would any of us decide? 3. If you could have one magical power, what would it be? I would absolutely want to be able to teleport. It would make my travel so much easier! 4. What was your favorite part of writing Bruja Born? It was the scenes when the brujas, the hunters of New York, and the supernatural alliance comes together. I got to give a guest spot to some characters from my first series, The Vicious Deep. Read widely. That’s the best way to work on your craft. You learn your voice with every draft you write. Thank you so much, Zoraida, for the interview! Have a wonderful weekend, fellow book lovers! Good morning, awesome book lovers and book nerds! I hope everyone is having a wonderful week. I certainly am, and I am super excited to be hosting a wonderful author on our blog today! I had the lucky opportunity to read an early copy of By a Charm and a Curse by Jaime Questell. It was a beautiful book about magic and love and what it takes to end a curse that protects those affected by it. I found Jaime’s debut novel to be refreshing and unique. This is definitely a book you are not going to want to miss, especially if you love carnivals and dark magic. Now doesn’t this book just sound AMAZING?! I definitely found it to be! But, anyway, on with the show (see what I did there)! Besides getting an early review copy of By a Charm and a Curse, I had the wonderful opportunity to interview the author of the novel, Jaime Questell. She was an absolute blast to get to know and I am very thankful to her, as well as her publicist, for letting me host her on the blog! And I find that this post is even more special because this is also my first ever interview hosted on the blog! I am super stoked for you all to get to know Jaime! It’s time to draw the curtains aside and let the show begin! Have you always wanted to be an author? If not, what was your first dream job? I always wanted to be a graphic designer, which is what I do now! I love it, it’s like solving puzzles with colors and shapes and text. Although, when I was younger, I was convinced I’d be a fashion designer. What was the hardest part of getting published for you? Learning to not compare my process/reviews/expectations to my peers. It’s so hard to remember that everyone goes through struggles in the publishing industry, and just because they don’t talk about it, doesn’t mean they don’t have their own frustrations. What was your favorite part of the publishing process? I won’t lie – I love getting ARCs. And getting to know my fellow debuts has been pretty awesome, too. Where did the inspiration come from for By a Charm and a Curse? I had been listening to the Dresden Dolls song Coin-Operated Boy and had an image of a girl falling from a great height. That got me thinking, where did she fall from? And did she survive? What happened next? That turned into a short story, which my crit partners demanded I expand. That turned into CHARM! The curse in By a Charm and a Curse is unlike anything I’ve read! How did the idea for the curse come about? It kind of emerged as a very warped version of the curse from Beauty and the Beast. But instead of cursing the other carnival employees and performers, I wanted to see what would happen if they benefited from the curse. How quickly would that warp them, and what would they do to keep the status quo? (Side note: if you would like to read more about the curse, check out this post on Entangled Teen). Did you have By a Charm and a Curse mapped out before you started writing? For the most part, I’m a huge plotter, but CHARM was just one of those things and it felt like my fingers knew what was happening almost before my brain did. It is the easiest thing I have ever written, and I hope something comes along to take that title from it! There is an array of characters in By a Charm and a Curse. Were any of those characters based on people you know? Some have touches of people I know, and some are based on characters I like. Leslie and Lars are riffs on Leslie Knope and Ron Swanson. Gin and Whiskey have a touch of my own daughters in them. And Juliet loves food as much as I do. Whiskey has the best lines and was so much fun to write. I can’t help it – I always have a Whiskey-esque character in everything I write. Was there any specific chapter/scene you enjoyed writing the most? I loved the scene in the gas station. It was so interesting to try to figure out what these characters, whose lives are so different from anything I’ve known, would do for fun. A gas station food fight felt very appropriate. What was it like writing in two different character perspectives? In some ways it was harder, making sure their voices were different enough that a reader could know what chapter they were in without referencing the chapter pages, but in some ways it felt like a cheat! With two POVs, I could tell the reader things I needed them to know but that the character wouldn’t know, and it made things so much easier! If you were part of a charmed carnival, what act would you perform? Were there any songs you had to listen to while writing? Yes! Music is so helpful to me when writing. When I wrote Emma, I’d listen to this band Kitten, and when I wrote Ben, I’d listen to the Rubens. When I wanted to get the feel of the carnival, I’d listen to that Dresden Dolls song or a cover of Rock and Roll by Rasputina. Gryffindor! Though I think I have a touch of Slytherin, to be honest. If you could have your book turned into anything (movie, Broadway musical, dance number, etc. ), what would it be? I’d want CHARM to be one really well done season of TV. I feel like there’s more than could be fit into a movie, but not enough for multiple seasons. Though I wouldn’t say no to a movie! Any advise to writers and aspiring authors? Self-care is so important. Whether that means taking breaks while drafting, reading to refuel your creative well, knowing when to take a step away from social media…because you can’t write when you feel like crap. Were there any books/authors that had inspiration on your work? Too many! As I mentioned, I love Holly Black. I’m also inspired by Leigh Bardugo, Laini Taylor, Maggie Stievfater, Kelley Armstrong, Stephanie Garber, Lisa Maxwell, Zoraida Cordova…I could go on all day. Umm, also too many! You’ll Miss Me When I’m Gone by Rachel Lynn Solomon; Nothing Left to Burn by Heather Ezell; and Missing, Presumed by Susie Steiner. I’m also really exited to read The Hazel Wood by Melissa Albert; Everless by SaraH Holland; Nice Try, Jane Sinner by Lianne Oelke; and American Panda by Gloria Chao. Thank you so much, Jaime, for stopping by and I had a great time getting the chance to interview you! Thank you to Entangled Teen and Jaime’s publicist for making this possible! It was an absolutely pleasure hosting you on the blog! By a Charm and a Curse hits shelves February 6, 2018, so don’t forget to mark your calendar! If you love magic with a mix of romance, I’d definitely add By a Charm and a Curse to your Books-to-Buy list! That’s all for today, everyone! Thank you again to the wonderful people at Entangled Teen!